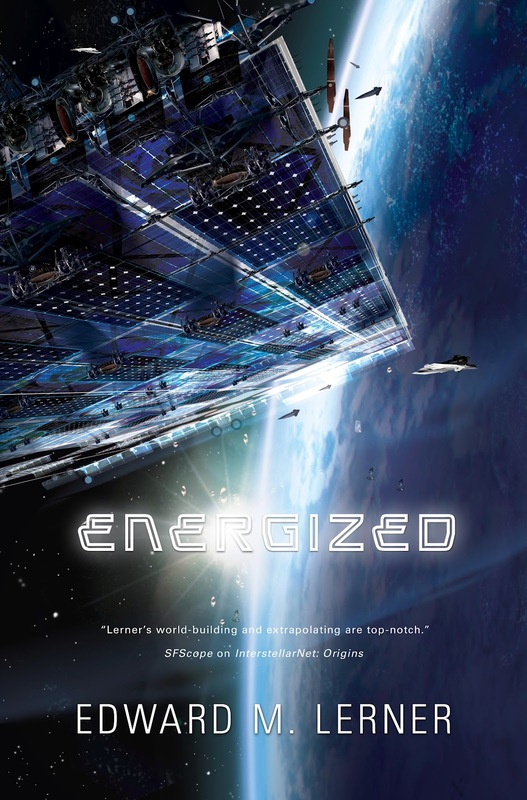 "A taut near-future thriller about an energy-starved Earth held hostage by a power-mad international cartel … Lerner's vision of the future is both topical and possible in this crisp, fast-paced hard SF adventure." That huge artifact in the foreground of the cover? It's a solar power satellite. I'll have things to say about that technology in posts to come. And the Crudetastrophe? It's a geopolitical miscalculation that overnight takes most Middle Eastern oil off the world market. (Link to Energized release-day post added July 19, 2012). I can hardly wait! I just placed my pre-order at the iTunes bookstore. Thanks, Todd. Alas, I can't speed things up for you. Hoo boy, that hits close to home, doesn't it? If only orbital solar power was closer to reality, we might actually be getting somewhere on the whole energy crisis front. I might read the book just to figure out how they got the damn thing up into the air in the first place.